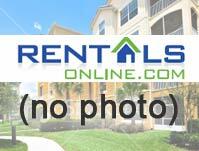 Whether you're looking for an apartment or to fill a vacancy, Rentals Online is your Apartment Guide for Texas. Find out more about listing an apartment and having tenants view your Texas rental in our results. Rentals Online is dedicated to building a community of renters, landlords, rental agents, and property managers throughout Texas, and the nation, so communication and commerce can be quick, inexpensive and competitive. With the Rentals Online Texas apartment guide, both seasoned residents and those new to Texas, can find an apartment quickly and conveniently. Property owners and managers can now show Texas rentals without paying enormous fees. From Dallas to Houston to Austin, University of Texas, University of North Texas and Texas A&M students will find a state that's bigger than life. Texas is home to many cultural centers, natural wonders and a warm climate that most new residents will find a home that�s both exciting and inviting. Agriculture, energy, computers and aerospace are just a few of the industries that dominate the economy for Texas. The state is well know if raising cattle and drilling for oil, but lots of high tech companies make their home here such as Dell, Inc., Texas Instruments, Perot Systems and Rackspace. Once you find an apartment in Texas, you might want to set some time aside to explore this great big land and see the many attractions. For example, the Alamo, located in San Antonio is the site of one of the most infamous battles in North American history. If you live in or visit San Antonio, the Riverwalk offers a famous shopping and dining district. Families will love to spend some time at the Schlitterbahn waterpark or explore the Johnson Space Center where you can check out space shuttles and feel what it is like to be a real astronaut.